Friends and family gathered in All Souls Non-Subscribing Presbyterian Church, Elmwood Avenue. Belfast, to listen to glowing tributes to the Professor whose legacy as a conservationist lives on amongst others, through the ‘Best Kept’ awards. 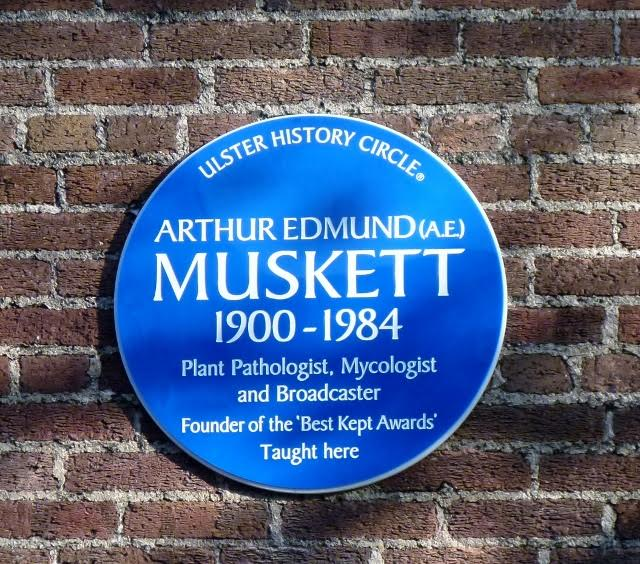 ‘A.E.’ as he was known is still remembered with regard and affection. 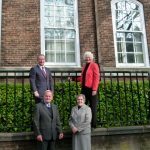 The ceremony fronted by Ulster History Circle Chairman, Chris Spurr, heard from Dame Mary Peters, Professor Patrick Johnston, Vice-Chancellor of Queen’s University and A.E. 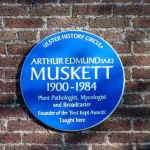 Muskett’s daughter, Doreen who spoke about her father’s life and upon conclusion said – ‘My father would have been humbled but very proud to know that he was being honoured by this Blue Plaque’. 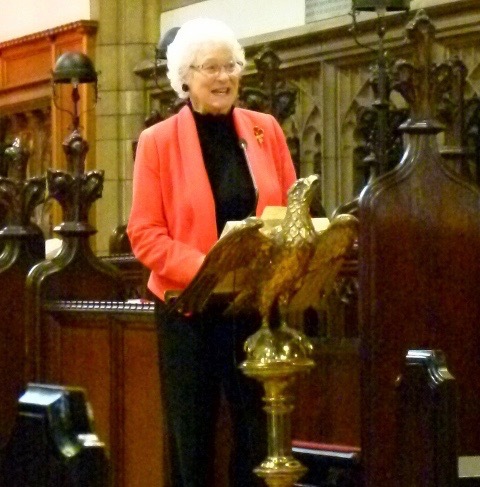 Before refreshments at All Souls Church, kindly organised by Rev. 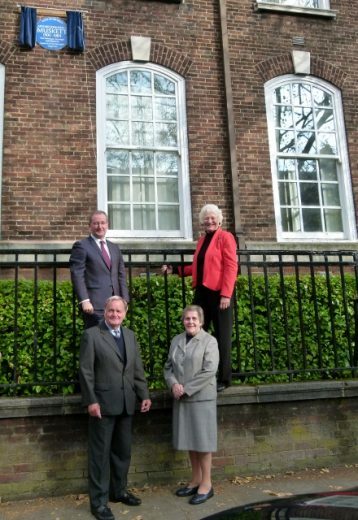 Chris Hudson and his team, Doreen Muskett and her brother Bryan led guests to the Queen’s University Geography building on Elmwood Avenue, where Dame Mary Peters unveiled the plaque.